Kamran Akmal: As much as one may dislike him due to his sloppy flaws behind the stumps one cannot take away his heroics in Twenty20 internationals where he is Pakistan's leading run scorer & also has taken the most dismissals by a keeper in the format. Imran Nazir: 111* from 44 deliveries in an ICL final for Lahore Badshahs in 2008. Hammered the Indians for 20 from a single over in the 2007 final. Played a blistering knock against the Kiwis in the semi of the same tournament. He is an automatic selection for such a format as far as I'm concerned. Shahid Afridi: 2009 ICC T20 WC SF & Final MOM. 2007 T20 WC Player of the tournament. Most international Twenty20 wickets. There was a time in the summer of 2009 where he scored 3 consecutive 50s in T20. Need I say more? Umar Akmal: With 4 Twenty20 50s Umar has made the format his own with his attacking & fearless stroke play. The highlight for me would be the match winning 31 ball 64 he made against Australia in July 2010 as Shahid Afridi's warriors whitewashed the Aussies in the MCC Spirit of cricket 20/20 series.Moreover, a productive labourer in the field. Capable make shift wicket keeper when required. Misbah Ul Haq: People might be raising eyebrows here with the “tuk tuk” tag, but stats don’t lie & people can easily get caught up into a misconception, but the bottom line is Misbah has statistically & even technically been one of the premier successes in this format & arguably even Pakistan's best batter in the format. He was part of the 2009 ICC T20 WC winning team & was the 3rd leading tournament run scorer in the inaugural 2007 T20 WC where Pakistan concluded as finalists. Overall, Pakistan's 3rd leading run scorer with the best average. Shoaib Malik: Captained in 2007 during the first edition of the WC. Has a highly successful 20/20 record as skipper. Was part of the 2009 glory. Was missed in 2010 as far as the cricket is concerned. Since he has been excluded for non cricketing reasons Pakistan have only won 1 out of 8 Twenty20s which is kind of a reflection of the value he had in the middle order & in the field during the team success previously. Additionally, he is a buzzing presence in the field and takes confident catches at crucial stages. How can one forget the skier which removed Kallis at long off in the semi final at Trent Bridge? A top moment was that. A decent occasional off spinner as well. Pakistan's "ace" fielder as Rambo Ramiz once said when Bumble quizzed him on who he would regard as the best from Pakistan's side. Abdul Razzaq: ICL winner, domestic T20 winner twice, T20 WC winner, county winner & so forth. 46* from 18 deliveries against England in Dubai. 34* from 11 deliveries against New Zealand at Christchurch. Two phenomenal game changing MOMs there as an example. Rana Naved: Unfortunately he has never played in a T20 WC for Pakistan but he has the experience and class as he has demonstrated in domestic leagues around the globe over a number of years. Showed his worth in the 4 international outings he got as well. Ideally, he would make my perfect starting line without a shadow of doubt. He has all the ingredients to relish in this format with his superb Yorkers, variety of slower deliveries, animated character, big hits, ever improving fielding & genuine sharpness. Mohammad Amir: Remember the 5 wicket maiden? Remember the wicket maiden opening over of the 2009 T20 WC final where he bounced out the inform Dilshan? Remember 5th & 6th July 2010 in the Edgbaston sunshine where he bagged 3 wickets economically both days in winning causes against the ruthless Aussies who had been humiliating Pak for over 10 games previously across all formats? Umar Gul: The 2nd leading wicket taker in international T20s. Best bowling figures of 5/6 in international T20s. Leading wicket taker in both 2007 & 2009 Cups. Obvious selection really. 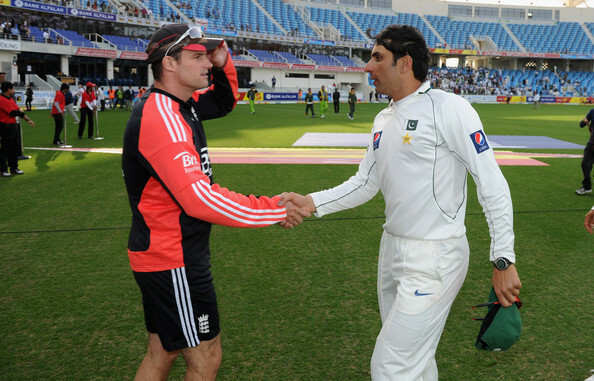 Saeed Ajmal: 3rd leading wicket taker in internationals T20s including 12 wickets during the 2009 triumph in England. 12th man: Yasir Arafat: One of the leading wicket takers in 20/20 at all major levels. A fine exponent at the death with his slingy Waqarsque action. Decent striker of the ball who knows how to lift the willow and make some priceless contributions. Has made 7 caps for Pakistan, but should have more in all fairness. He did really well in the UAE during the 2 match home series against England. I was in a dilemma whether to select him or Rana in the starting line up. Fingers crossed or dream on that Pakistan are able to get a similar team composition & selection for next summer's global event with the hope of being the first nation to win the T20 World Cup twice.